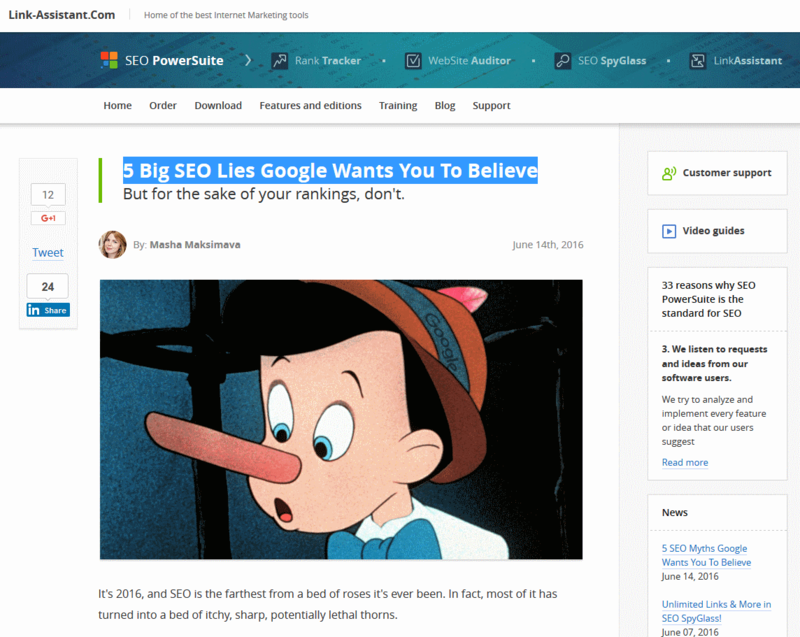 Masha Maksimava covers 5 misunderstandings about Google search engine results. This is a practical article listing how to the misunderstanding came about and most importantly what to do to, step by step, to best use this knowledge to increase your search engine ranking. With this simple list you can stop leaving a possible increase in search engine results on the table (and giving it away to your competitor). Link backs are still as important as error. The example provided even used footer links, incredible! Building your link backs still pays huge dividends. Traffic works, the more people click on your listing in the search results the higher your listing will list. Simple and effective. Using keyword and undertaking keyword research is as important as error. Missing out on search results simply because you did not use all possible keywords is a waste. Social media works. The more active you are on social media and higher ranked your website will be, it is as simple as that. Anchor text works, make sure yours is keyword optimized. It is simple and often overlooked. Just make sure you use many different versions. Google will note if the same anchor text is used everywhere. Click here to visit the original article by Masha Maksimava from Link Assistant. Business grade professional website design and web hosting visit Portagemma.com. Over 10 years designing and hosting small business websites that work.